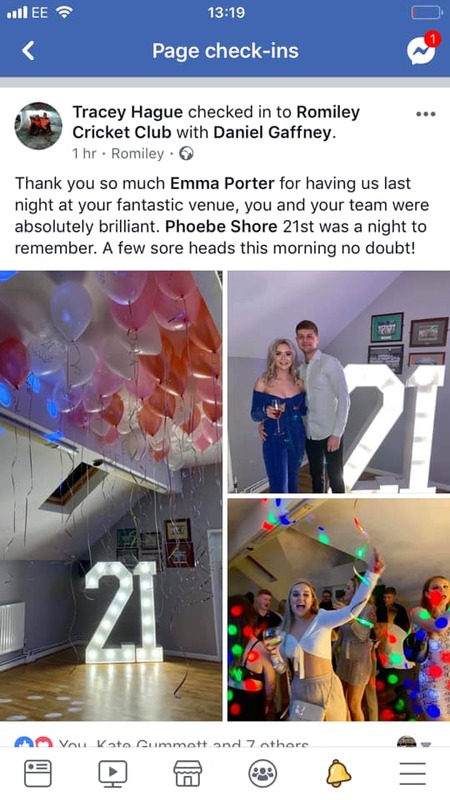 Recently, the Hog Roast Stockport team were hired by a local client for a 21st birthday party. The client had hired a local venue called Romiley Cricket Club in Stockport. The venue had been decorated for the occasion and looked fantastic on the night. The team that had managed the venue did a fantastic job and so did the Hog Roast Stockport team as they catered for the event. 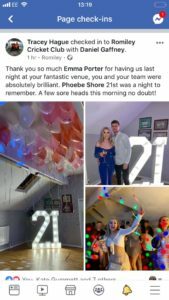 The team was a fantastic choice for the client as they could provide a great selection of casual food that suited the atmosphere of the party. The client selected the classic hog roast menu offered by the Hog Roast Stockport team which featured a fantastic slow roasted pig which had been cooked to perfection on site by the Hog Roast team. The whole roasted hog was served as a centrepiece of the buffet table and looked delicious as it was laid out. The meat was served alongside soft bread rolls and wraps in wicker baskets on the buffet table. The meat had been cooked in one of the team’s professional Hog Master machines which created some fantastic crackling which was served with the meat. The classic sides of apple sauce and traditionally flavoured stuffing accompanied the meat on the buffet. In addition, grilled vegetable and halloumi wraps were crafted and served on the buffet table for the vegetarian guests. All the food had been prepared on site and the Hog Roast Stockport team arrived well in advance to begin the preparation of the food. The Hog Roast Stockport team’s buffet went down brilliantly with the guests who all appeared to really enjoy the food. The client had invited 100 people to their birthday party and so it was important that there was plenty of food to go around. In addition, the buffet was served at 9pm so it was important that the Hog Roast Stockport team met this deadline as the guests would need enough time to eat the food before the end of the party. The guests had a great time at the party and they got some fantastic photos of the night as the venue created a great backdrop for their photos.